1. When is this year’s jet boat race? The 2nd Annual Race the Joe! 2014 jet boat race is scheduled May 23-25. 2. What events are being planned? Friday, May 23 is the Show & Shine Boat Show, sponsored by Avista. It is a free community event. It starts at 6 p.m. at the Cormana Building, St. Maries. Come meet and take photographs with the race teams. Fireworks at dusk. Saturday, May 24 and 25 racing starts at 10 a.m. with several legs between IFI Landing to Calder and back. Spectators may watch for free from any riverbank with public access. 3. What do you enjoy about being involved with the organization of the jet boat race? Jet boat racing is fun. It’s a tremendous joy to see families and friends enjoying a great event right here in our beautiful community. The fans that come and patronize our local businesses are so complimentary about our community. The race teams absolutely love coming to St. Maries and having the chance to race here. As race organizers we are building a fantastic community event people can enjoy for years to come. 4. How many volunteers helped with last year’s race? We had approximately 100 volunteers take part in last year’s race. 5. What jobs are available to volunteers? Volunteers were from EMS, fire departments, law enforcement, communications and others in the community who helped with race logistics such as monitoring race pit areas, set up and take down of fencing, signs, chairs and tables and clean-up crew. We also rely on Safety Boat Captains to help monitor the waterways of the course. 6. What is the time commitment for a volunteer? Is there any training required? Volunteers may get as involved as their time allows. 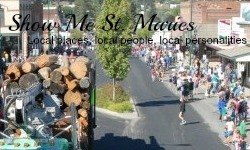 The St. Maries – St. Joe Jet Boat Chamber committee meets at least once a month, and usually meets more frequently in the months leading up to the race. All volunteers are asked to attend a safety briefing the week of the race itself. We also will have specific safety boat training in early May this year. 7. How can people who want to volunteer get involved? They may contact me directly at shelackr@hotmail.com or contact the Chamber office at (208) 245-3563. Volunteers are still needed; we welcome anyone who would like to be a part of this fun event. 8. Are there any specific local civic groups/ organizations that help with the event each year? Civic groups include members of the St. Maries Chamber of Commerce, Benewah Co. Sheriff’s Department, Shoshone Co. Sheriff’s Department, St. Maries Fire Department, St. Maries Ambulance, St. Joe EMS, Calder Volunteer Fire Department and Benewah Co. Search and Rescue Communications. Volunteers from various groups such as Kiwanis, Rotary, Masons, Paul Bunyan Days, St. Joe Car Club and others have helped as well. 9. Why are volunteers so important not only to this event, but to others as well? Volunteerism builds a strong community and creates opportunities for others. These events and civic organizations/groups absolutely would not be possible without these individuals’ passion to give back to their community. Local volunteers bring a wealth of knowledge and passion in their areas of expertise such as EMS, fire and law enforcement which are absolutely essential to keeping racers and fans safe. Local volunteers stepped forward to bring the 2012 USA World Jet Boat Championship to the St. Joe River. And it was these same volunteers with the support of many others in the community that have now created an exciting free community event that brings in people and economic development to this area. Volunteers help make this a wonderful free event for everyone to enjoy. They also help to reduce the costs associated with putting on a race of this size and bring their passion to make it a fun, safe event for everyone. 10. Is there anything else people should know about this year’s race or becoming a volunteer? 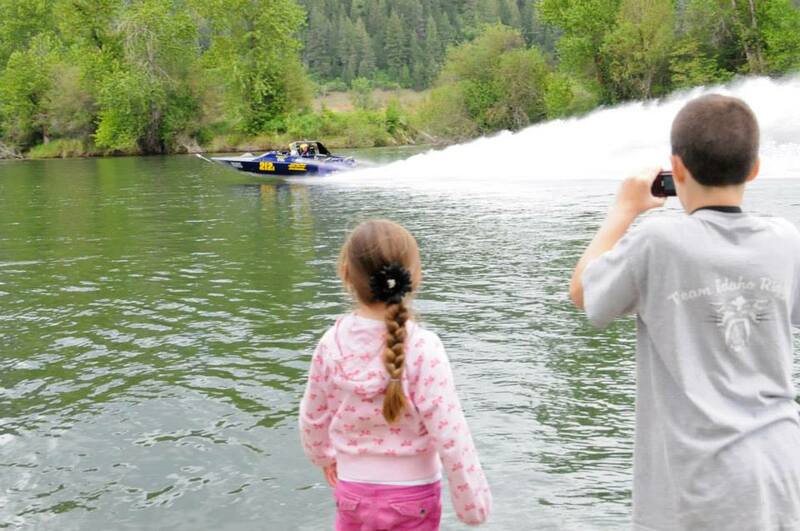 There are many ways to volunteer at a jet boat race. Are you interested in learning how to be a scorer, timer or flagger at the start lines? Do you have a boat and knowledge of the St. Joe River, perhaps you may want to learn to be a safety boat captain or flagger? Do you want to help keep people safe and see the race teams up close, then help monitor traffic and pedestrians at the race hot pit areas? Do you like walking in nature? Then the clean-up crew is a great job with lots of camaraderie. Volunteers must be 18 or older. In some areas they may be 12 to 17 depending on the duties associated with the volunteer position.